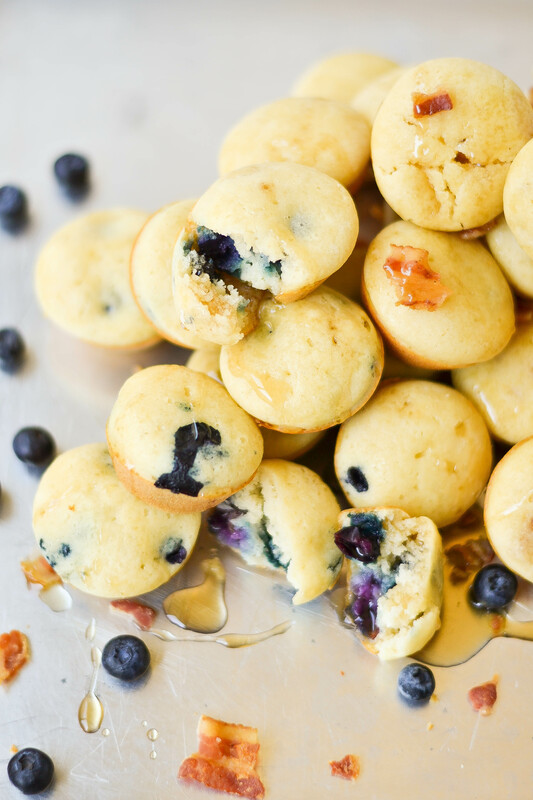 add-ins of your choice - I used 4 slices of crumbled bacon for one batch of 12 pancake bites, and fresh blueberries for another, adding 3 fresh blueberries to each muffin cup. Preheat oven to 350 degrees f. Spray a mini-muffin tin lightly with cooking spray. Toss the add-ins with a small spoonful of dry pancake mix or flour, to keep them from sinking to the bottom of the muffin tins. Spoon batter into each muffin cup about 1/2 full. Sprinkle with a little of the add-in of your choice (or you can just make them plain, of course). Top with a bit more batter, filling the muffin tins about 3/4 of the way full. Bake for about 12 minutes, until cooked through. Remove from the muffin tins and brush lightly with butter. Repeat with remaining batter. Serve warm with maple syrup. 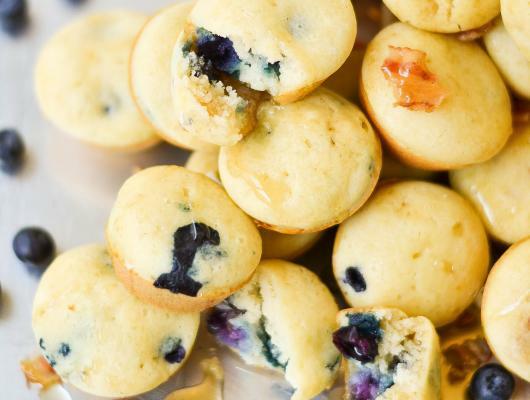 Morning pancakes get a make over into this fun bite-sized version studded with the add-ins of your choice and baked in a mini-muffin pan.